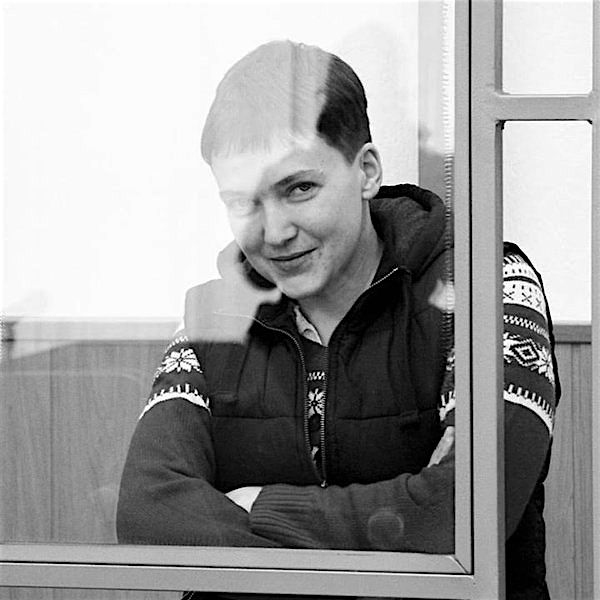 Nadiya Savchenko in Donetsk, Russia court on October 21, 2015. 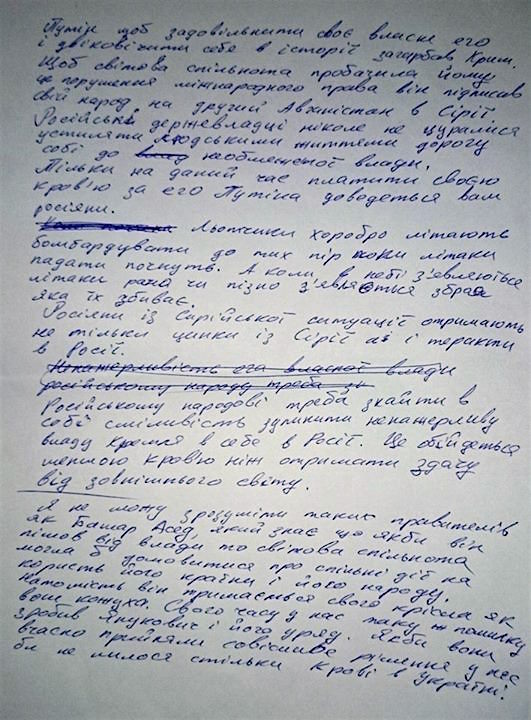 “Putin, to satisfy his own ego and immortalize himself in history, invaded Crimea. So that the international community would forgive him this violation of international law, he signed his people up for a second Afghanistan in Syria. Russian statesmen have never shunned paving the way for themselves with human lives on the path to absolute power. Pilots bravely fly their planes to drop bombs, right until their planes start falling. And when planes appear in the sky, sooner or later there comes a weapon to shoot them down. From the Syrian situation, Russians will gain not only the judgement of Syria, but also terrorist attacks in Russia. The Russian people must find the courage within themselves to stop the insatiable power of the Kremlin in their home, in Russia. That will cost them less blood than getting pummeled by the rest of the world. Myself, I also sign under these words.